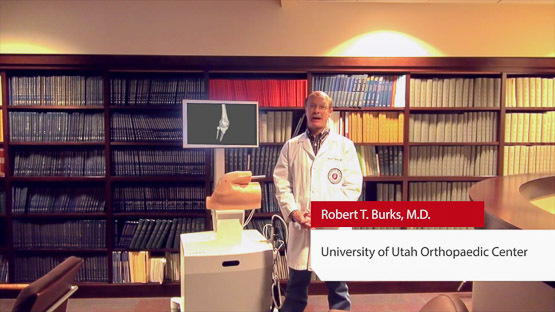 The University of Utah wanted to enhance surgical education in the orthopedic department. The goal: use the latest educational means available for the training of young surgeons, i.e. virtual reality simulators. Each and every person interacting with the VirtaMed ArthroS™ says "Wow!! That’s cool, that’s really pretty much like looking into the real joint". And, if you're trying to teach, if you can make it fun, give feedback, make it a challenge, it makes learners want to practice more! The ability of the simulator to show a large number of different pathologies, to identify them and to document them sets it apart from training on conventional models and also from training in the operating room or on cadavers where this high number of variability is not present. This is really what makes the VirtaMed ArthroS™ a unique training tool.